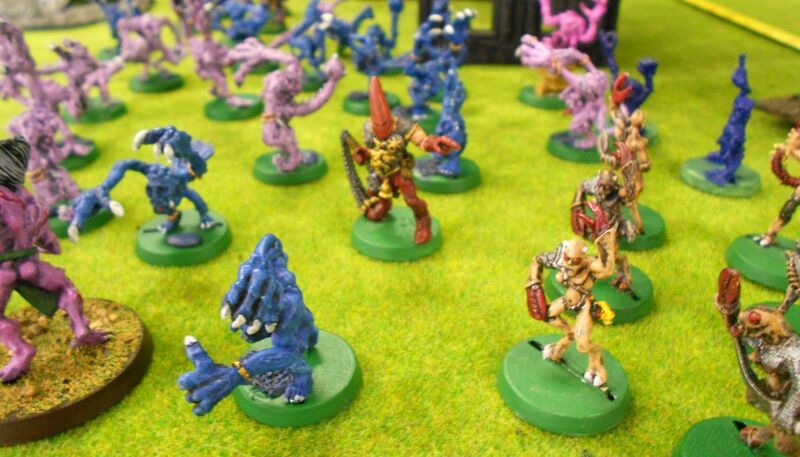 I missed last week's game, but got one in this weekend with James McCoy's Chaos Daemons. 1000pts, Relic/Vanguard Strike. Above you can see a bunch of his seriously old-school daemonettes and horrors, led by an old WHFB Chaos champion serving as a herald. This is some serious late-1980s metal here folks! 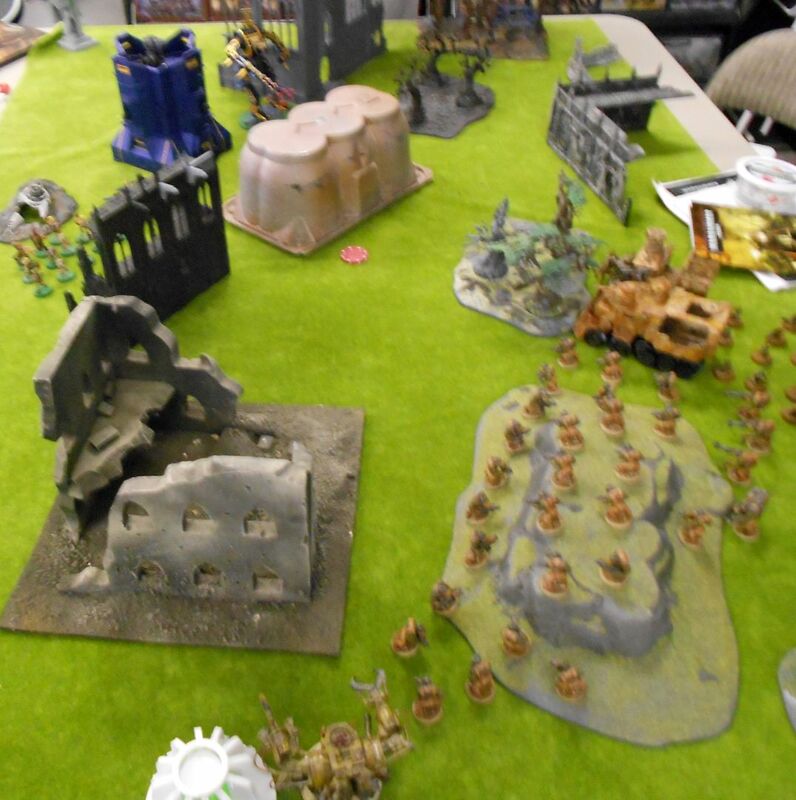 He had Tzeentchian, Slaaneshi, and Nurgle heralds, a unit of daemonettes, a unit of horrors, a Tzeentchian Soul Grinder, a bastion with lascannon, with CSM allies providing a terminator lord, a 5-man squad of marines and an obliterator. 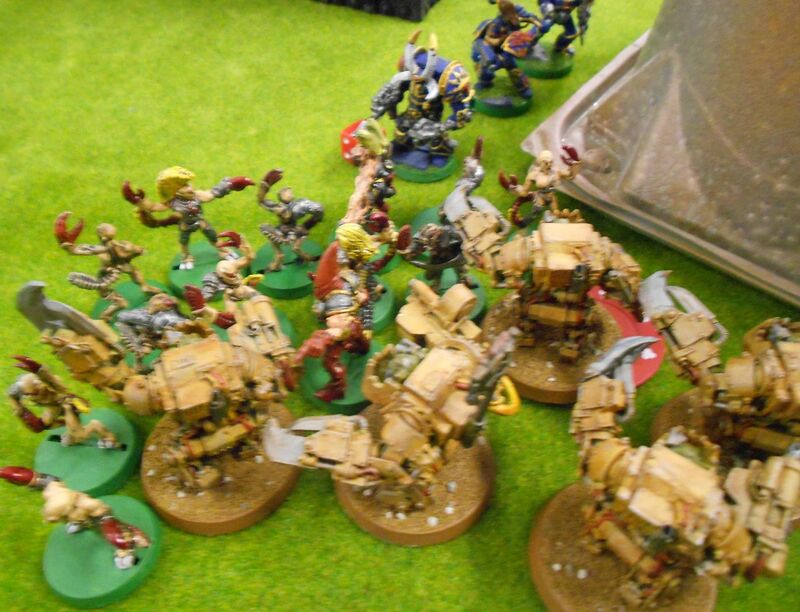 I took megaboss/5xmeganobs in battlewagon, 11xshootaboys in trukk, 30xshootaboys, 10xgrots, 3xlobbas, dreadnought. We rolled up traits and such, set up the field and got ready to roll! Being the jerk that I am, I put a big impassible block in front of the Relic, keeping him from just jumping out from his bastion directly onto it. I put my transports right up against it to grab it early, with the rest of the army set up to support and punish anyone heading to the prize. Dread gets ready to slowly pick his way through ruins for most of the game. 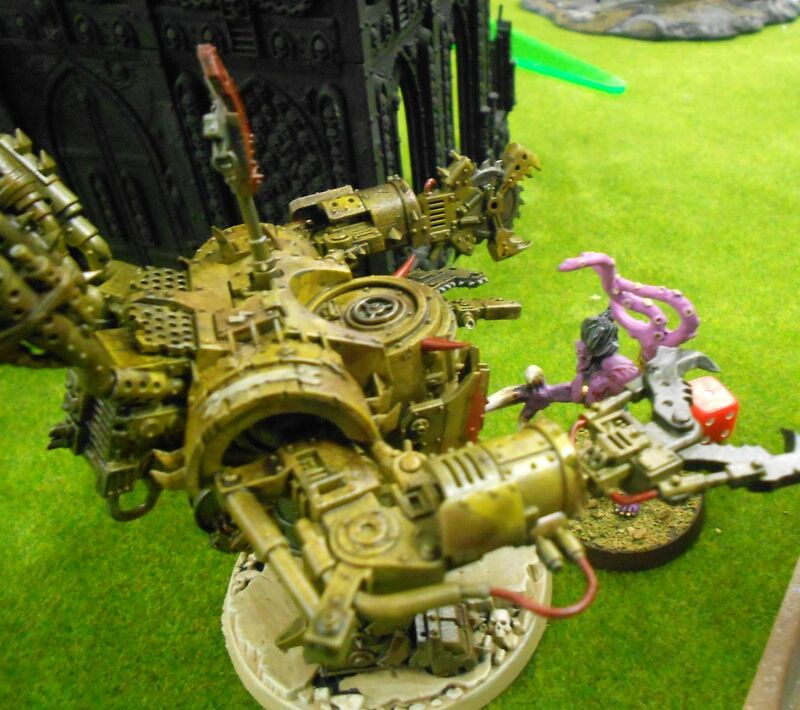 Soul Grinder immobilizes the ork trukk, while the battlewagon disgorges meganobs on top of the prize. 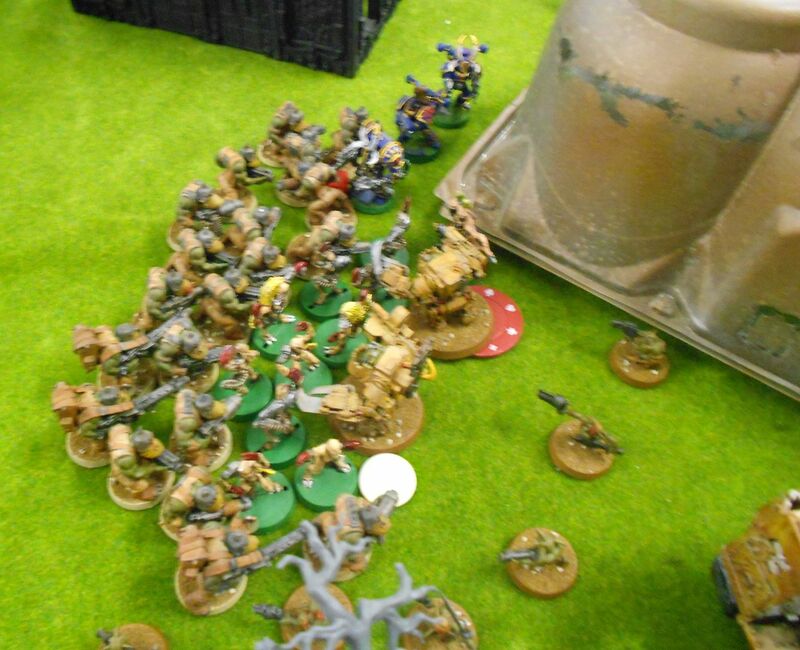 Boys and grots move up to support. 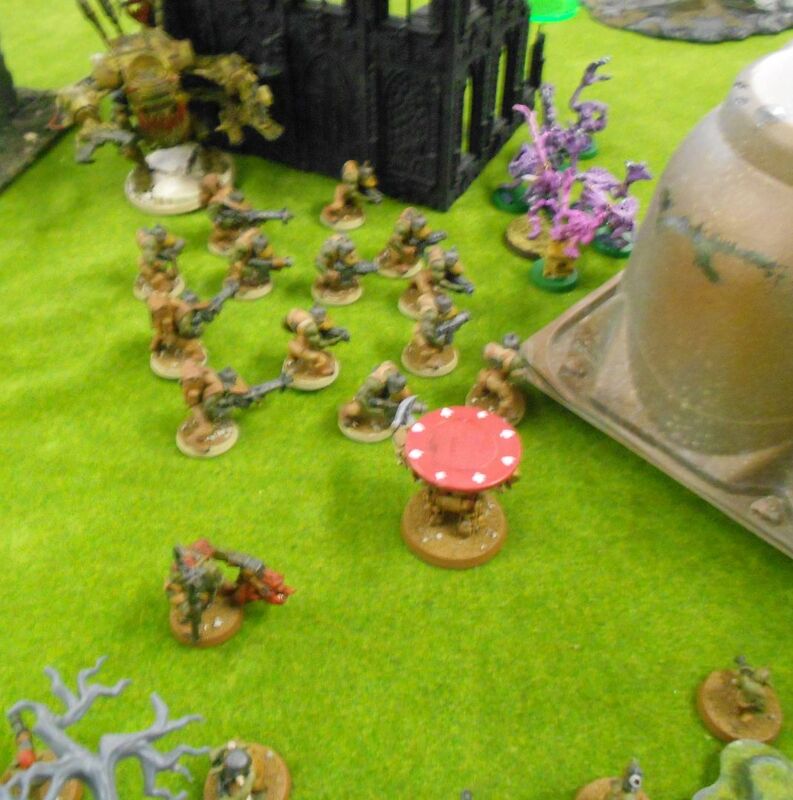 Lobbas drop on the chaos marines and kill three, while big shootas strip a wound from the terminator lord. Daemonettes (coming through black ruins above the horrors) and horrors move up. 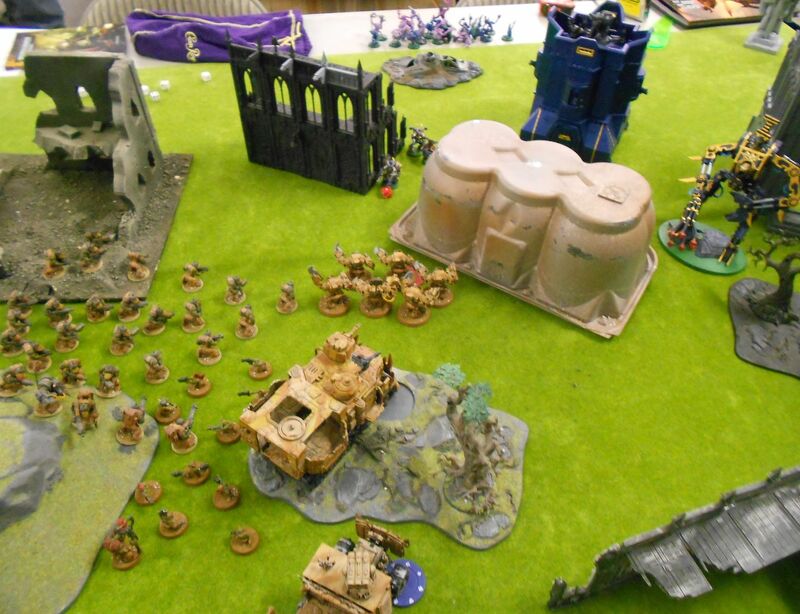 Chaos marines roll double ones for their charge and sit around while the daemonettes rush across at the meganobs. 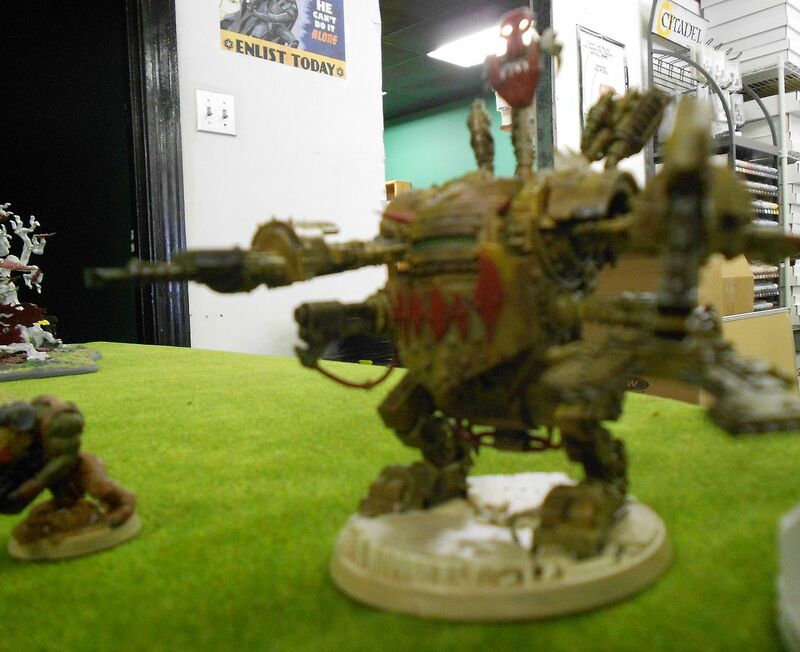 Challenges ensue with the warboss up against the herald. Warboss smashes the herald, but most of the megas go down. 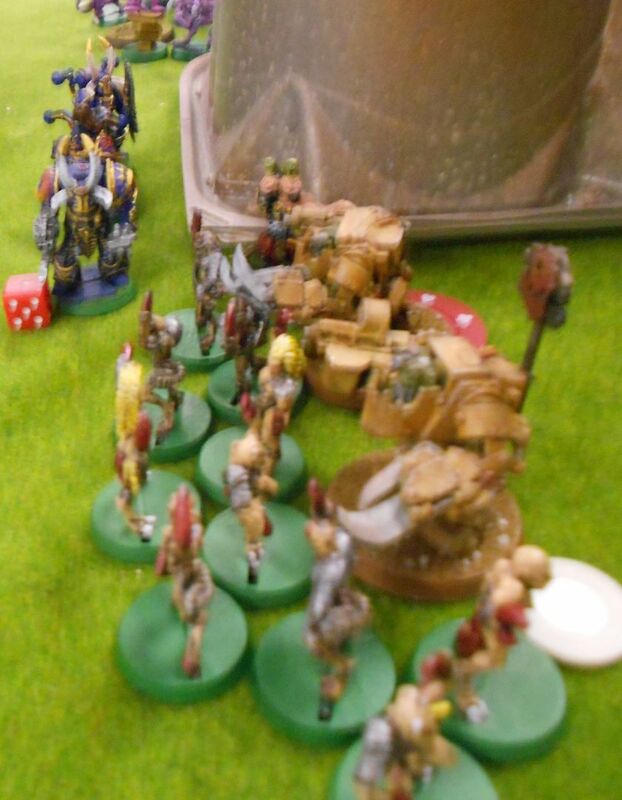 Orks fail the initial morale roll, but the bosspole saves the day on the reroll. 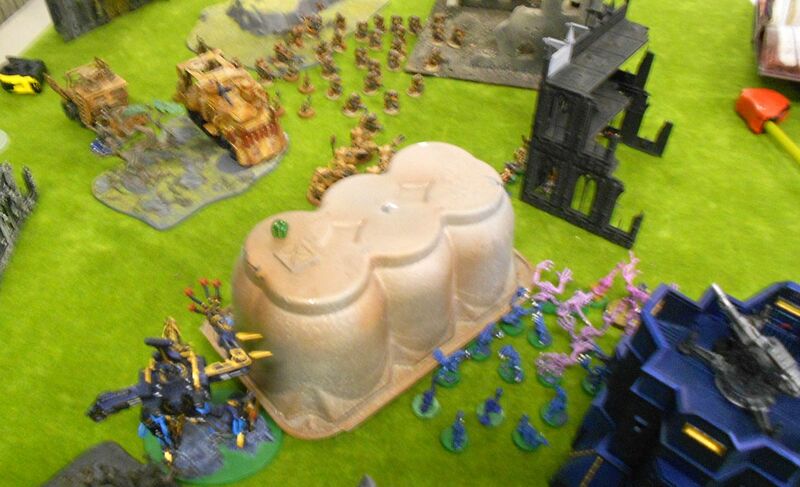 Boys move up and multi-charge into the daemonettes and chaos marines, while grots and battlewagon interpose themselves between the prize and the soul grinder. 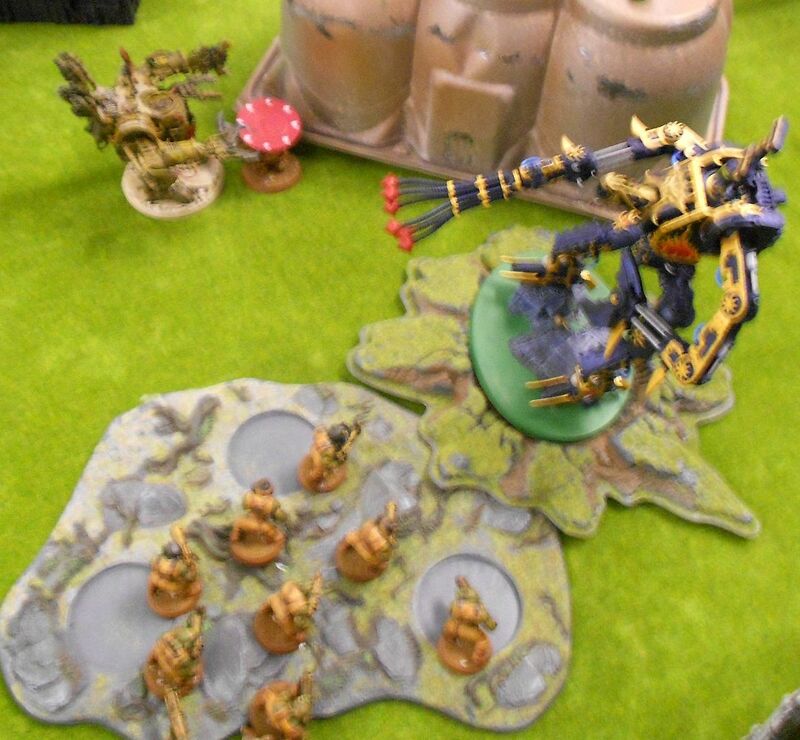 Soul grinder smashes the battlewagon apart, horrors move up to support and roll double ones for their charge, staying out of the fight but nicely bunched up for the lobbas. 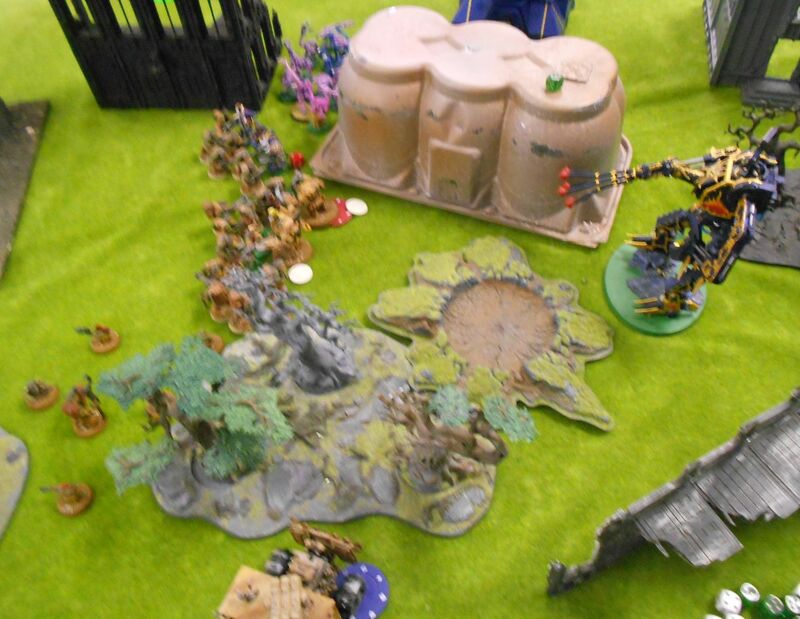 Warboss and chaos lord kill each other in a challenge, while the other chaos marines and daemonettes are wiped out. 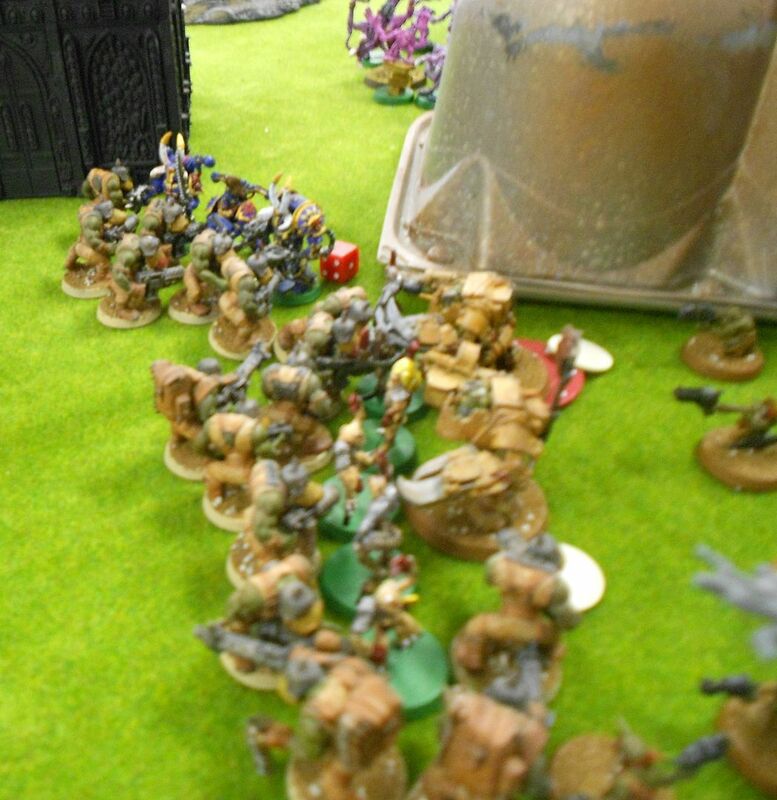 Remaining mega holds on to the Relic while orks get in the way. Dread finally makes it through and is ready to do some damage. Soul grinder torches the grots. I had forgotten I still had shootas in the trukk for a few turns. Once I was reminded of them they still stayed in until their ride got wrecked. 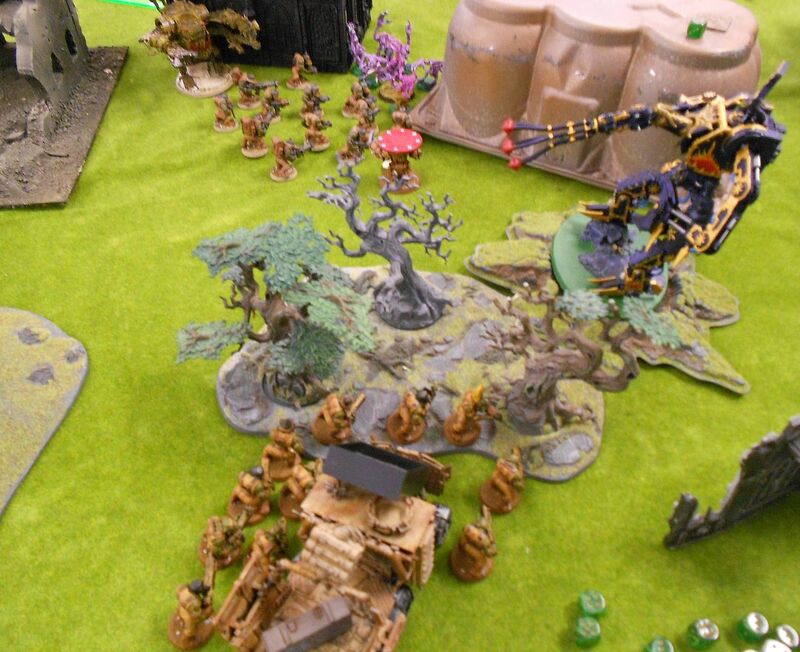 They move up to try to tie up the soul grinder, but fail to reach it. Meganob kombi-skorcha and dread skorcha take out most of the remaining horrors, and dread choppy bits take out the herald/daemon warlord. 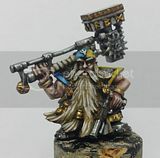 Meganob hides from the lascannon on top of the bastion. He later gets behind the dread, and soul grinder charges the dread, but dread tears it apart. Game over, ork victory! Next up, Orks vs. Stunties, 1250pts Crusade. Not sure yet what I'll add - trukk squad, bikers, or maybe I'll have the shokk attack gun painted by then.